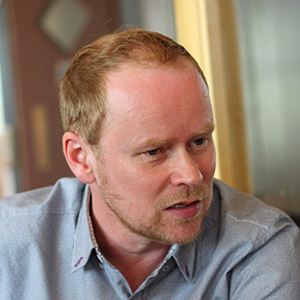 Stewart Boutcher, 12th February 2019. This Beacon update, v4.7.0 for those keeping track, comes with a batch of new features and upgrades to make reporting your digital marketing results easy. Link Suite – generate multiple tracked links in one click! Now you can generate multiple tracked Beacon Links from one URL, this is a huge time saver when setting up your campaigns and idea for multi-channel marketing where you are driving traffic to a single landing page from various different platforms and want a unique tracked link for each. 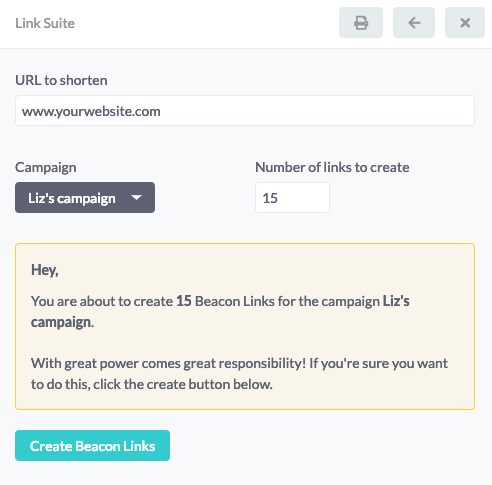 The Link Suite will be expanded upon greatly in future versions, to make link and campaign management even easier for you within Beacon. Now you can add ‘view only’ users to your team, this user type have access to all the campaign data associated with a website within Beacon, but are unable to edit anything or create links – perfect for sharing your progress with your boss or clients. Beacon was built to help you measure the whole website visitor journey, from piece of marketing through to a sale of conversion. Beacon now reports on basket/checkout activity so you can attribute ecommerce results to marketing activity with ease. Some integration may be necessary; speak to us if you want to learn more. 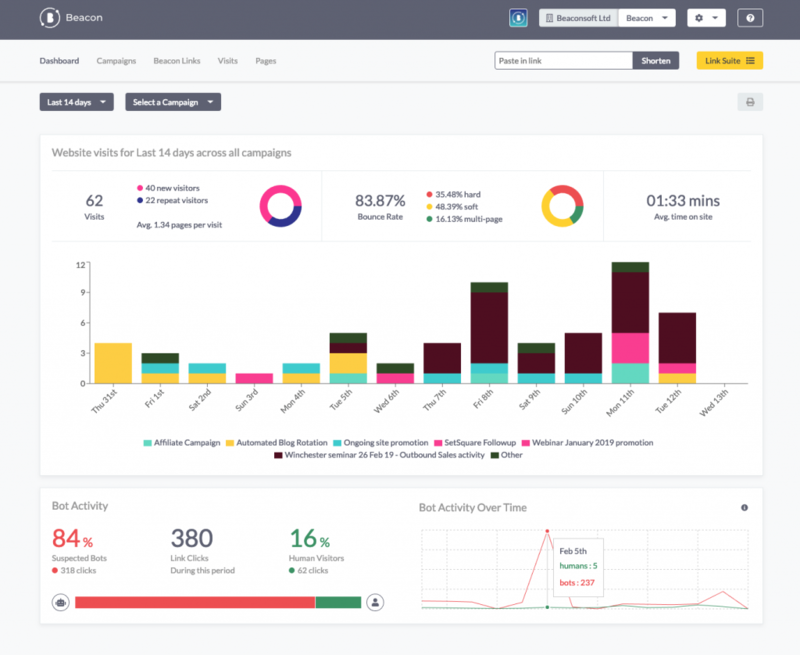 We’ve updated your insights dashboard to give you deeper analytics to track your bot activity over time. Beacon continually reviews the effectiveness of the links your generate and use in your marketing based on a range of website visitor engagement metrics, and now it’s even easier to see how many 5 star links you have in your marketing campaigns. You can now brand and customise your printed reports by adding a logo to the websites you track with Beacon. You can now set the currency of the websites you track with Beacon, helping you to better measure the return on investment and Cost Per Visit of your marketing. 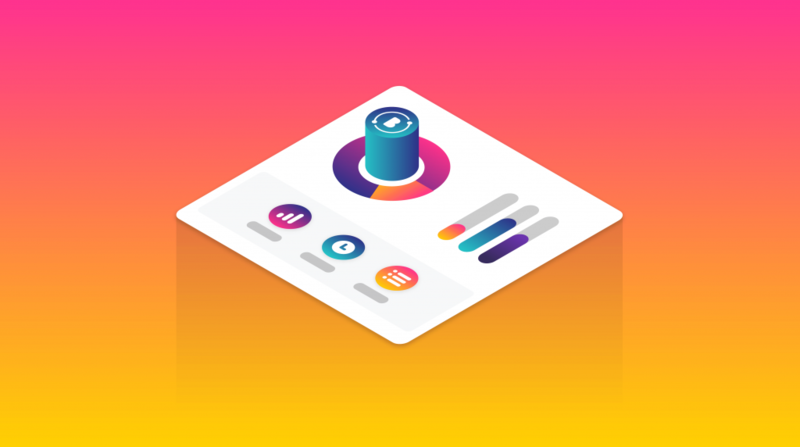 If you don’t already use Beacon, why not get started today and add extra intelligence to your digital marketing campaigns.